If you've been to a gym, you've probably seen this one particular type of person  short, very muscular and very strong. 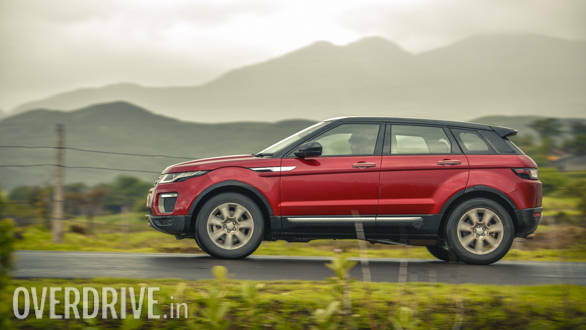 To me, that's what the Range Rover Evoque is in the world of SUVs  it's a relatively small, capable SUV, which looks quite butch. I had driven the 2016 Range Rover Evoque for a very short stint and admittedly, I wasn't wowed out of my pants. But I recently drove the 2017 model and I've actually grown to quite like it. What's changed? Firstly, I got to spend a lot more time with the car and secondly, it's got an all-new 2.0-litre engine. To make things better, JLR recently revised their prices to reduce the cost of the Range Rover Evoque. 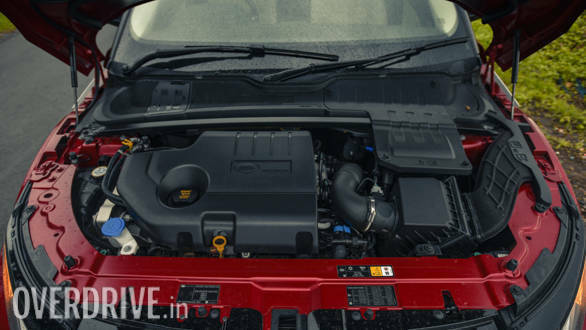 So do the new engine and the new price tag make the car any more attractive? The 2017 model gets no cosmetic upgrades over the previous model. I know I said that it looks like a short, muscular gym addict, but that's not a really bad thing. While it doesn't look as big or as intimidating as the large 7-seater SUVs, it doesn't look anything like a crossover either. This, thanks to those strong creases, big haunches and a slightly boxy design. At the same time, it looks high end, sophisticated and certainly stands out from the crowd. 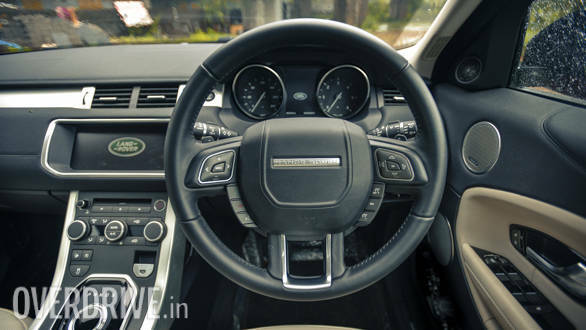 The interior is just as striking as the rest of the car, with a neat symmetrical design. The buttons on the flowing centre console are well spaced and easily accessible, making you feel right at home instantly. The quality of materials are top-notch with generous use of brushed aluminium inserts and soft-touch materials. But while the front seats are nice and comfortable, the rear seat doesn't classify as spacious -- there's just enough shoulder room for three people and just enough kneeroom too. 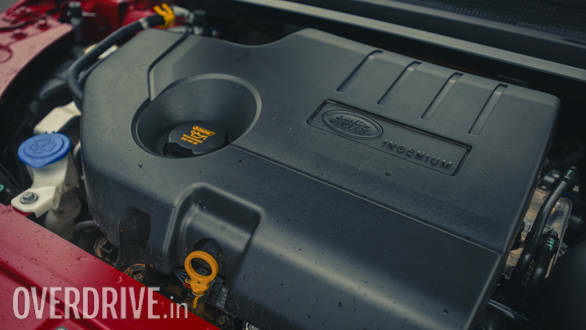 The new 2.0-litre engine in the Range Rover Evoque is the all-aluminium unit from the Ingenium series. While it is the same engine used in the Jaguar F-Pace, Land Rover has retuned the engine to produce 180PS of power at 4,000rpm and 430Nm of torque at 1,500rpm. The engine is very refined with no clatter, but it's not like you can't hear it at all inside the cabin. 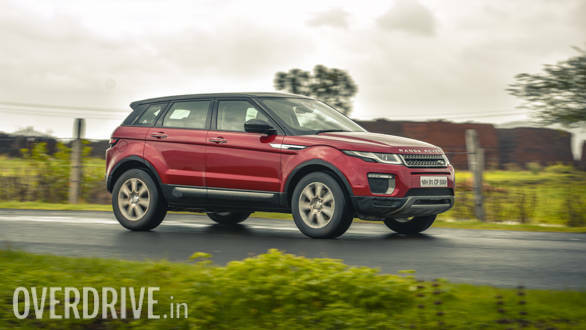 It's a very responsive unit and the smooth power delivery makes the Range Rover Evoque super comfortable to drive around on the highway and inside the city. The creamy 9-speed automatic gearbox works seamlessly too under normal conditions. With it, the car can comfortably cruise at around 100kmph at under 1,500rpm. However, pick up the pace and you'll notice that both -- upshifts and downshifts -- are a tad bit slow even if you use Sport mode and the paddle shifters. That said, it never left me frustrated. Performance is pretty good with a 0-100kmph time of 10.3 seconds. However, it must be noted that when we tested the car, it was raining cats and dogs! The new engine is reasonably efficient too -- it returned 9.5kmpl in the city and 15.5kmpl on the highway. Admittedly, the Range Rover Evoque isn't the most comfortable car to drive around or to be driven around in. 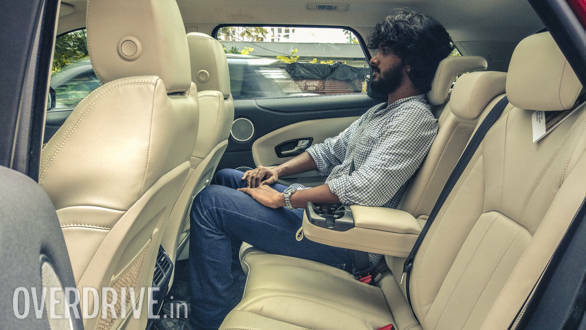 While the seats themselves are comfortable, the suspension is a bit firm and if you don't slow down over large potholes, it thuds quite loudly with quite a bit of movement inside the cabin. It does iron out the small bumps and ruts quite well, though. When it comes to handling, however, it's another story because the Range Rover Evoque really impresses. There's just the tiniest bit of body roll which, honestly, you'll barely even notice. There's a lot of grip thanks to the all-wheel-drive system, and the steering response is quick. The 4.3m-long SUV feels quite nimble and happily makes quick direction changes without complaint. The electrically assisted steering's weighting is well judged at all speeds, becoming quite light in the city and heavy on the highway. And there's a good amount of feedback too! 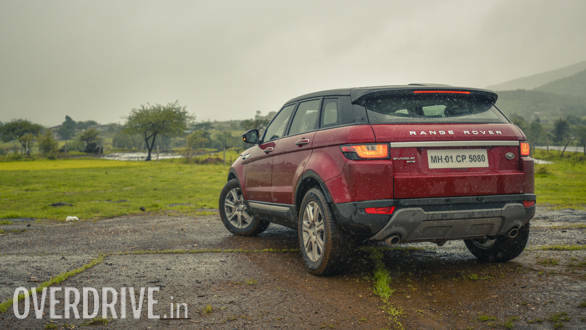 Although we didn't drive this Range Rover Evoque too far from the beaten track, I can still confidently say that it is quite capable off-road. How? 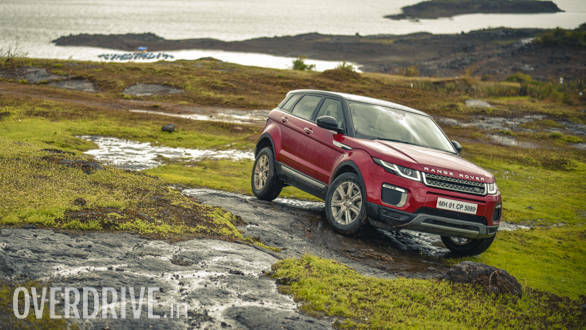 Because I've been to a Land Rover Experience in India and seen the Evoque tackle some rough terrain comfortably. 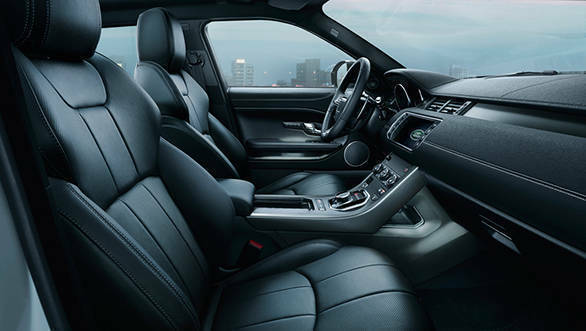 It's got Land Rover's Terrain Response System which offers four drive modes -- Normal, Grass/Gravel and Snow, Mud and Ruts, and Sand. Each alters steering and throttle response, differential locking and power distribution. And these aren't just gimmicks because there's a considerable difference in the way the car drives when you switch between the modes. You probably own, or have seen a pair of mid-outdoor shoes -- the ones you can wear to a casual dinner date at a fancy restaurant, and also, if you feel like it, wear them for some light trekking. 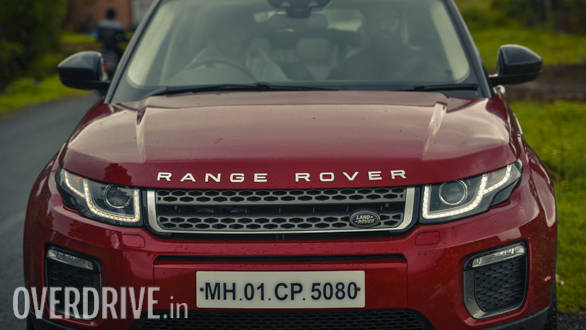 The Range Rover Evoque is like that -- it's the kind of car that you'd take to a fancy dinner at the Taj, looking suave in a silk shirt, sleek trousers and suede shoes. At the same time, it's also the kind of car you can take to your farm house on the weekends to do some light off-roading, while wearing boots, shorts and an old T-shirt. It's got the best of both worlds! At Rs 69.30 lakh (on-road, Mumbai) for the top-spec HSE Dynamic variant after GST, it's not a bad deal at all. 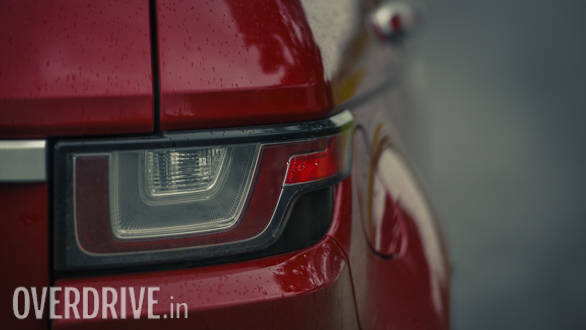 And when you look at the starting price for the diesel variant, which is Rs 51.90 lakh for the base Pure variant, it's an even better deal considering you still get a proper SUV with four-wheel drive, and the looks to go with it.